At Chabad Hebrew School of the Arts we try to accommodate everyone, because we believe that a Jewish education is critical to forging a strong Jewish identity. Therefore, we will try to work with everyone who requires assistance, to help come up with an amount that they are are able to pay. We will work with you personally and a mutually agreed upon fee will be arranged. This will occur in a strictly confidential manner, and we will make every effort to accommodate your request. Please be sure to fill in the entire form. All requests for assistance must be received by August 15th, 2018 . Please note, you must have turned in a completed registration form and deposit before you can be considered for a scholarship. Deposit will be fully refunded if your request cannot be accommodated. When submitting a scholarship request form, please consider the cost of these programs. 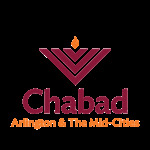 I/We would like to benefit from the Chabad Hebrew School scholarship fund. Please review some of the scholarship options that we will be providing this year. Please note: If you would like to spread payments over 6 or 12 months you do not need to apply for a scholarship. Simply select one of those options on the registration form. Option 3) None of these are sufficient. I would like someone to call me about setting up another arrangement.